What vicarious fun! 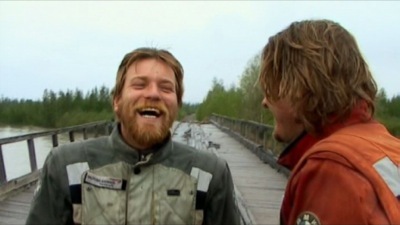 Two actors (one, the young Obi-won Kenobi from Star Wars) decide that what their comfortable lives need is a motorcycle adventure. How about going from London to New York — the long way around? As in across the channel to Eastern Europe to the Ukraine, Kazakhstan, a few other ‘Stans, Mongolia, Russia, Siberia, Alaska, Canada and finally across the US. Somewhere in Kazakhstan they and you realize that this is not going to be ride in the park. There are only 80 miles of paved road in all of Mongolia. And on the Road of Bones in Siberia, built on the lost lives of 2 million prisoners in the Soviet Gulag, there are no real roads at all. It takes nearly 4 months of much mud and bad food. 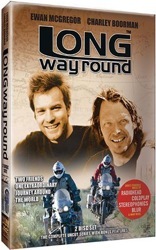 Their ride is filmed by a third hapless companion, and is hilarious, educational, thrilling, and above all, very entertaining. The curious mix of global Star Wars celebrity fame, medieval nomads, Russian Mafia bad taste, incompetent officials, and near-death accidents make it irresistible.